What’s to Love: Although it’s our rainy season here in Portland, I encourage all of my readers to get out with your kids for a family hike. The winter is actually a great time for hiking, but you’ll need to be prepared for slippery conditions, lots of mud, rain, and wind. Forest Park offers many options, but I think you’ll find this little gem one of the better options for kids. Also, check out this review of hiking backpacks from thegearhunt.com. What’s to Love: Magnolia is a very cute little park in a semi-residential area of Hillsboro. I say “semi-residential” due to the fact this area of Hillsboro has a combination of planned residential areas surrounded by retail/businesses. I’m not sure how this city plan works for Hillsboro. 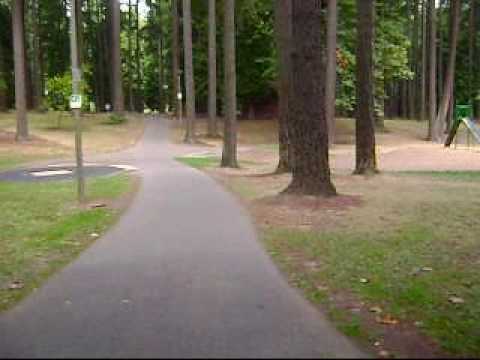 I will say with confidence that Hillsboro has one of the most comprehensive park systems you’ll find anywhere. You could spend weeks (or more) exploring all the various options for parks. Check-out the map! What’s to Love: If your family is into disc golf, the 21 acre Orchard Park is worth the drive to Hillsboro. The park has a VERY nice 3-par, 9-hole course with a paved path winding throughout the length of the course. The paved path makes a 1/2 mile loop, which is a decent length for beginning bikers or kids on scooters. What’s to Love: I’ve explored the rock climbing area up at Rocky Butte many times. I’ve been turned off by the trash and noise from highway 205, which runs underneath the bluff. The climbing itself looks pretty good and worth a shot. I’ll give that a try this summer with the kids. This trip, I was interested in exploring the structure on the summit of Rocky Butte, which I’ve heard offers excellent bouldering. What’s to Love: For climbers, especially with kids, it doesn’t get much better than here in the Portland area. We have some world-class bouldering and climbing gyms all within a 15 mile radius of downtown Portland. Opening November of 2011, The Source Climbing Center in downtown Vancouver, WA is the latest addition to the climbing community. Beautifully designed, The Source was built from scratch and offers a totally separate area for young children and beginners interested in climbing. 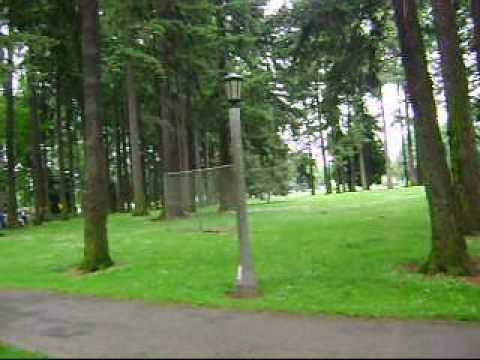 What’s to Love: When we used to live in Northeast Portland, we’d frequent Fernhill Park with our dog. As you can see, there is PLENTY of green space for romping, stomping, running, and jumping. With the tall trees providing cover on the north end, this is a stunning park and the perfect destination if you feel like you need a little space. What’s to Love: Located just to the west (and below) Sellwood Park, Sellwood Riverfront Park often gets passed-up as bikers cruise the Springwater Corridor and cars zip by on the way to Oaks Amusement Park , Oaks Rollerskating Rink, or hiking in the nearby Wildlife Refuge. Too bad! Just like many inner southeast parks, this is one you don’t want to miss. What’s to Love: North Portland – so many parks, so little time! Yes, Columbia Park is awesome, and it has a pool. Pier Park has a pool, an 18-hole disc golf course, and an amazing skatepark. Of course, there is Peninsula Park, Smith & Bybee Wetlands, Kelley Point Park, and many other little gems scattered across “the Gateway to Nature.” How does Kenton Park rate? Well, if they were to add a new playstructure, Kenton Park would be right on-par with the many beautiful parks in North Portland. Chances are, if you don’t live in North Portland, Kenton Park isn’t even on your radar – until now! What’s to Love: Despite being sandwiched-in between some nasty industrial businesses, Smith & Bybee Wetlands Natural Area is an excellent family-biking destination with several options for family fun. You may just need to hold your breath every now and then. Columbia Park is located in the Portsmouth neighborhood in North Portland. It has one of the new water/spay features for kids to play in. It also has a nice indoor pool. What’s to Love: Surrounded by large-scale condo/housing developments that all look the same, Happy Valley City Park offers a bit of a reprieve from its chaotic surroundings. The park has some well kept athletic fields, green spaces, picnic areas/shelters, playgrounds, and even offers recycling receptacles! Sounds like a pretty decent park, but is it worth the 8-10 mile drive from Portland? What’s to Love: I hope people who live near the pool don’t hate me for writing this article. Why would they hate me? It’s simple – they don’t want the best outdoor pool in Portland any more crowded than it already is! Actually, to think the Sellwood Pool is some top secret location known only to insiders is a bit naive. Everything you’ve heard (if it’s tremendously positive) is most likely true. We all know Sellwood Park is gorgeous, and the pool is the perfect extension for summer fun. Well, the votes are in from our readers concerning your favorite Portland park. It’s not a surprise to tell you that Laurelhurst and Sellwood both top the list. Yes, these are beautiful destination parks, and we practically live at Sellwood park during the summer, especially with the incredible outdoor pool. Aesthetically, these parks are both hard to beat. However, I’d like to share a few of my personal picks in 10 categories that may not be on your parental radar. What’s to Love: A stunning park in north Portland, Peninsula Park offers the whole family something to do with both indoor and outdoor activities. The rose garden is certainly on-par with the rose garden at Washington Park. This is my favorite park in north Portland, and it’s definitely worth a drive or bike ride to get there.